Many commercially available weed killers contain harmful chemicals that may prove dangerous to pets, people and to the environment in general. While effective, these synthetic weed killers can only be described as poisons. They persist in the soil long after their weed-killing duties are finished, they can run off into lakes and streams and pollute water supplies, and they can contaminate compost heaps, rending the compost useless for mulching plants or amending the soil. Organic weed-killers, on the other hand, are natural substances or non-chemical techniques for killing or removing weeds. Organic methods offer a much safer alternative to spreading toxins around your garden, yard and outdoor property, as they contain no synthetic, dangerous chemicals, but instead make use of natural substances that kill weeds and other plant life. But like many broad-spectrum synthetic chemical weedkillers, some organic herbicides, both homemade and store-bought, are indiscriminate in the plants they will kill. 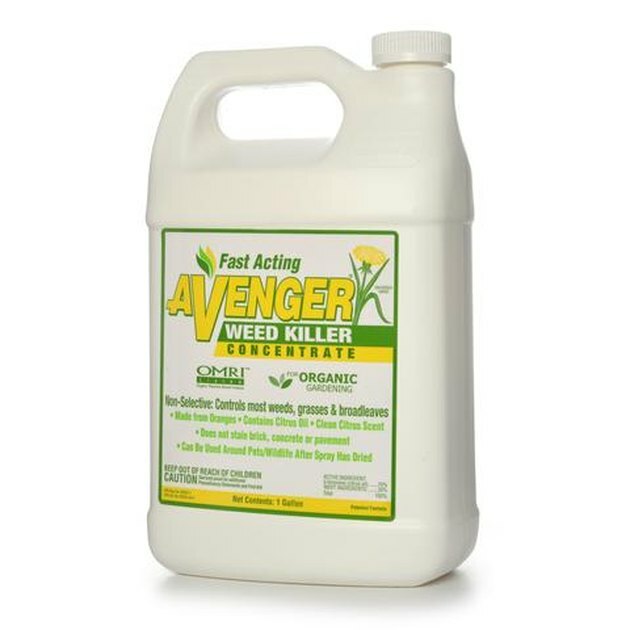 Read package directions and warnings carefully when buying an organic weed killer and be careful when applying your own concoctions in order to keep the rest of your garden and lawn plants safe. One of the simplest natural ways to get rid of weeds won't even require a trip to the store, since hot water is the only ingredient in this recipe. Boiling water is a great herbicide for weeds sprouting up through cracks in the driveway, between pavers or taking up space in a garden bed that otherwise has no other plant life nearby. 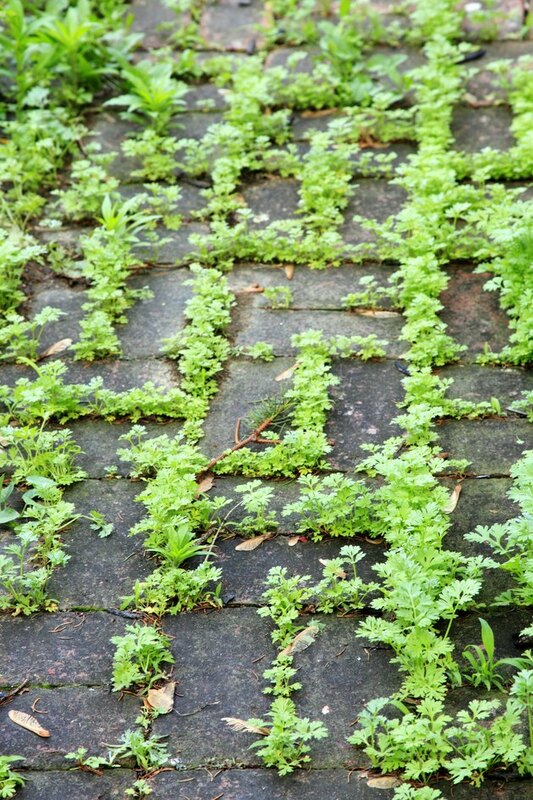 For areas involving cement or brick pavers, this method is ideal on weeds that are too tough to pull by hand. Simply boil water in a tea kettle, then pour 1/4 cup or so of hot water over each weed, soaking areas of its leaves as well as its stem. Wear shoes while working and take your time so you don't splash any boiling water onto your skin. Within a day or two, the weeds will be noticeably dead, at which point you can allow them to dry up or pull them out by hand. Commercial products labeled as organic herbicides are made from natural compounds rather than synthetic chemicals. Much like their synthetic counterparts, organic herbicides may be formulated for specific uses in the battle against weeds. Some are designed to prevent weeds, known as pre-emergent herbicides, while others kill existing weeds. Corn gluten meal, a byproduct from milling corn, is one such organic compound used as a pre-emergent organic weed treatments. Corn gluten meal inhibits weed root growth during germination and is most commonly used on lawns and in some fruit and vegetable gardens. Some organic herbicides use a citrus oil as a key weed-killing component. D-limonene is an oil extracted from the rinds of citrus fruits. It's useful as a weed killer and is also well known for its use in some solvents, such as paint strippers. As an herbicide, it strips away a plant's protective waxy covering, causing it to die. D-limonene works well on grasses and broad-leafed weeds, as well as many other weed varieties. Even when purchasing a product proclaimed to be "natural" or "eco-friendly, always the herbicide label carefully to ensure the herbicide kills the weeds you're targeting. 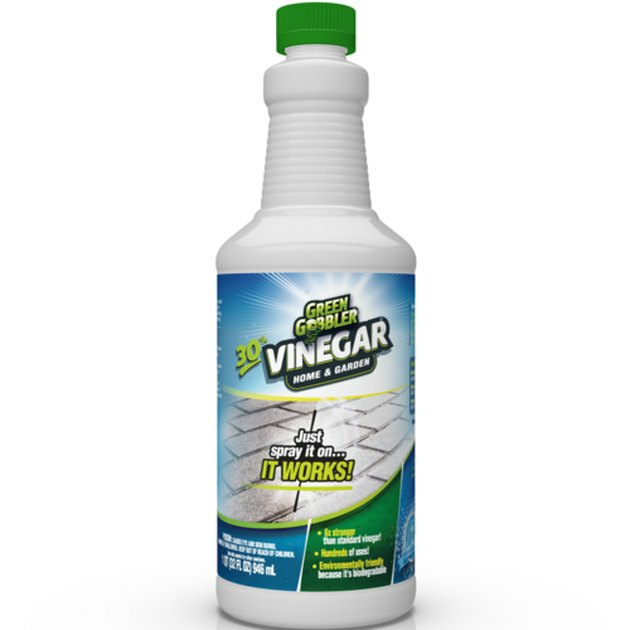 Household vinegar, which contains about 5 percent acetic acid, can be used at full strength to kill many types of weeds. The acid removes moisture from the weed, causing it to wither and die. An ounce of dish soap per gallon of vinegar helps the spray cling to the plant leaves, making this herbicide even more effective. Vinegar can kill other plants too, so only use it in areas such as cracks between driveway slabs or places where stray weeds sprout up—far from your more desirable plant life. If using vinegar near other plants, make sure to carefully target its application by using a hand spray bottle at close range. If regular vinegar isn't killing the peskiest weeds, opt for horticultural vinegar, which is up to six times as strong as the distilled vinegar found in grocery stores. Mix four parts horticultural vinegar to one part water in a sprayer or spray bottle. Spray the leaves on both young and developed weeds during the heat of the day, as the heat of the sun can help kill the weeds faster. Wait a day or two, then reapply if necessary. Some weed varieties such as poison ivy are tougher to kill when young, due to thick cuticles. Vinegar penetrates larger leaves more readily on such varieties. Even a weed that looks completely wilted can spring back to life, due to stored energy in its roots. Some may even resprout nearby from root runners, so check the problem area at least once a week during growing season, reapplying the vinegar as necessary. Mechanical extraction is a fancy name for....digging weeds out by hand. 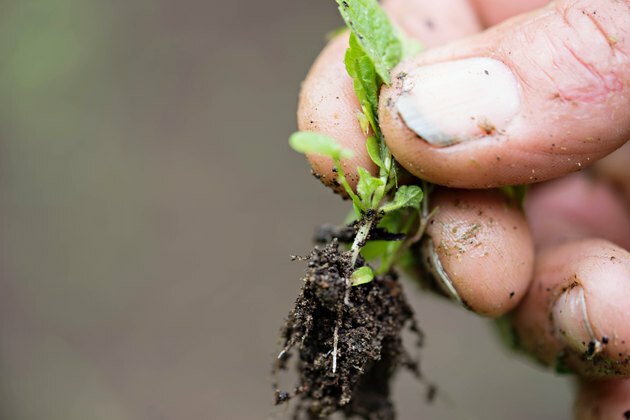 It might not be the easiest way to get rid of weeds, but it is almost always the least expensive and very often the most effective—especially when you get the entire root system out. If it sounds like too much work, be reassured that once a hand weeding routine is established, it gets steadily easier as their are fewer and fewer weeds to produce seeds. Besides, weeding by hand is good exercise and a wonderful way to stay in touch with your garden. 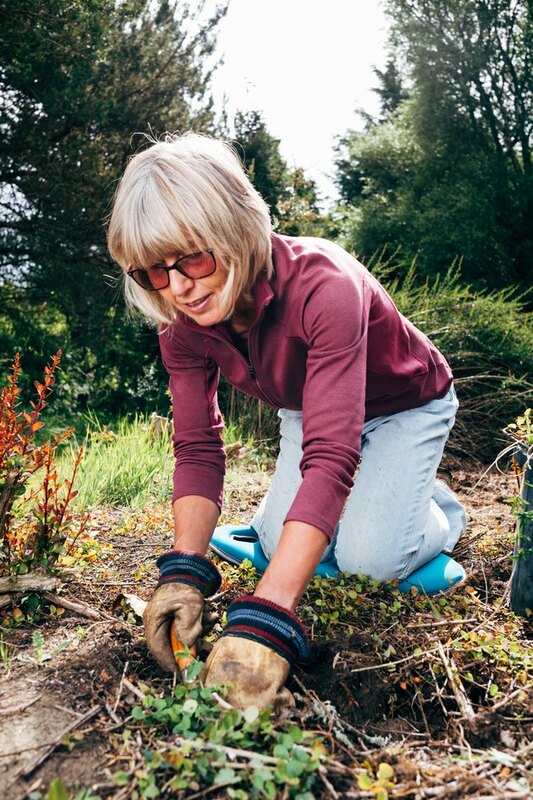 Removing weeds by hand works best when the soil is damp or loose, rather than compacted, and when the weeds have short roots that pull up with ease. A few standard tools can help make your life a lot easier when it comes to weeding by hand. A dandelion weeder, which looks like a long screwdriver with a notched blade on the end, helps pry out stubborn, deep roots. Try this on other weeds with roots that tend to break when tugging the plant out. To use, shove the blade down along the stem of the plant, grab the plant with the other hand, then wiggle the weeder to pry the weed out, root and all. A garden hoe also comes in handy in the battle against weeds. A standard long-handled hoe severs weed stems with ease. Hoes come in many different styles and shapes, so choose one that best handles the types of weeds you're dealing with. Some hoes have wider, narrower blades designed to skim beneath the surface of mulch or sandy soil, while others are specifically made to chop through tough plant matter. Handheld chopping hoes are also great for precise, close-in work around plants. As every farmer knows, the best use of a hoe is to sever a weed's stem off at ground level, so make sure to keep your hoe sharp. A weeding knife is another tool you'll love soon after using it a couple times. The tool looks a lot like a multi-purpose painter's tool with a stiff scraper-style blade on it. Use a weeding knife to pry weeds out of narrow spaces between structures and cement, for instance, or between pavers. This knife is also stiff enough to chip away at hardened clumps of dirt holding a weed in place. A weed popper goes by many proprietary names depending on manufacturer, such as step-and-twist weeder or a stand-up weeder. They are all variations of the same tool, which operates by means of sharp prongs at the end of a staff that is driven into the soil around the weed using foot pressure. A quick twist and the weed root is separated from the soil; then a quick lift of the staff and a tap on the handle drops a plug of soil-and-weed into your refuse bucket. Weed poppers are especially useful on lawns, because they can remove even long-rooted dandelions. The plugs of soil removed by the tool also help aerate the lawn. There are some perennial weeds that have tenacious, twining roots that are extremely hard to completely extract by hand. Quackgrass, for example, can only be removed for good by loosening the soil up by hand and carefully removing every bit of root fragment. Removing weeds of this type requires patience and perhaps a two-pronged approach—mechanical extraction followed by vinegar or another organic herbicide to kill surviving shoots.